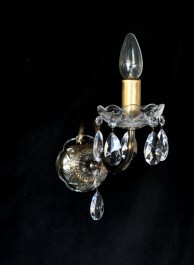 The brass crystal chandelier decorated with cut crystal almonds. 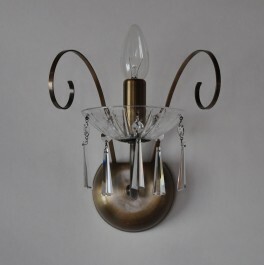 The stained brass parts with brown metal finish. 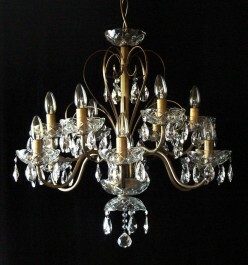 10+5 brass arms in two tiers. 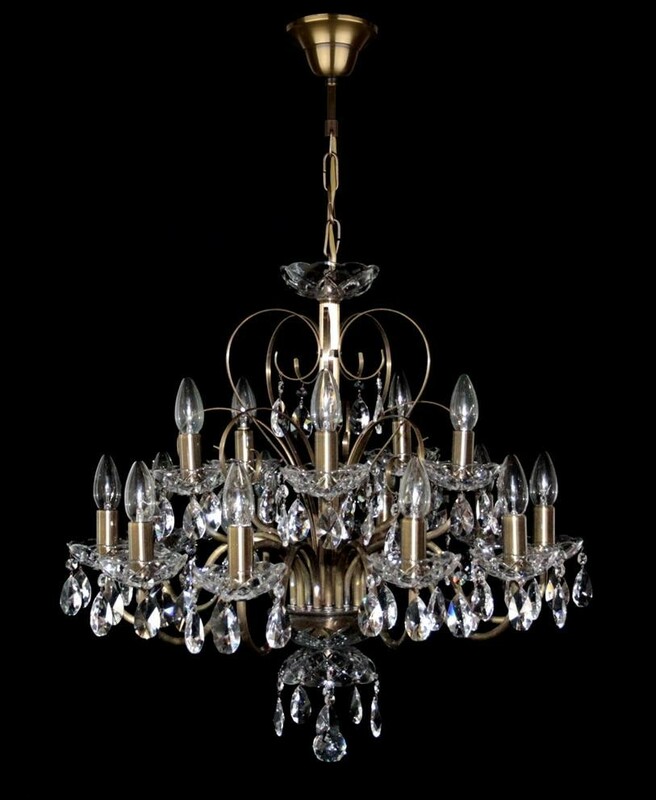 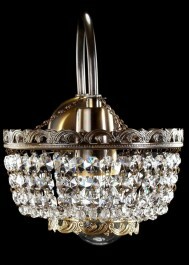 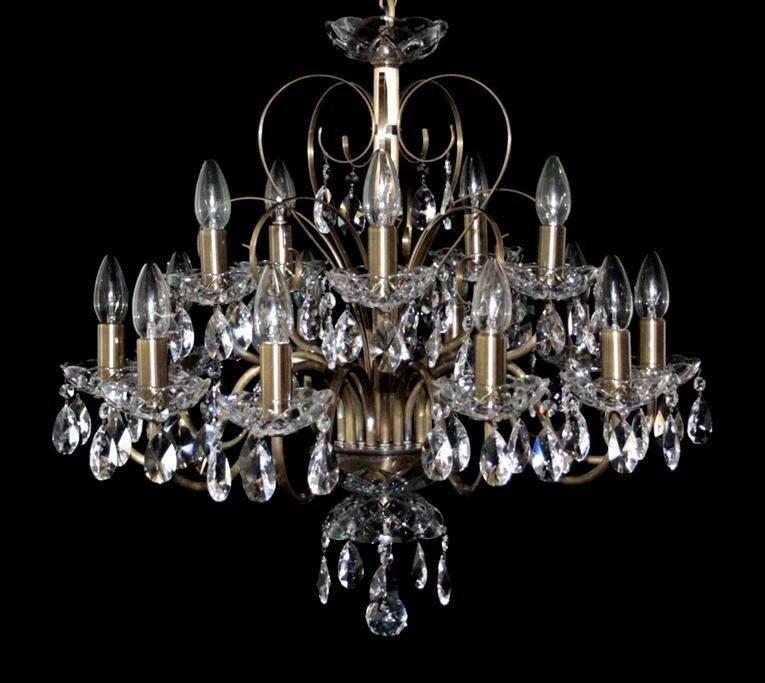 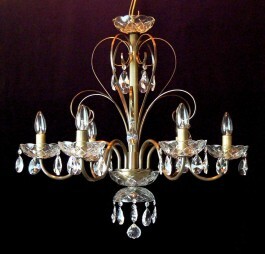 The design brass crystal chandelier with 15 tubular metal arms.